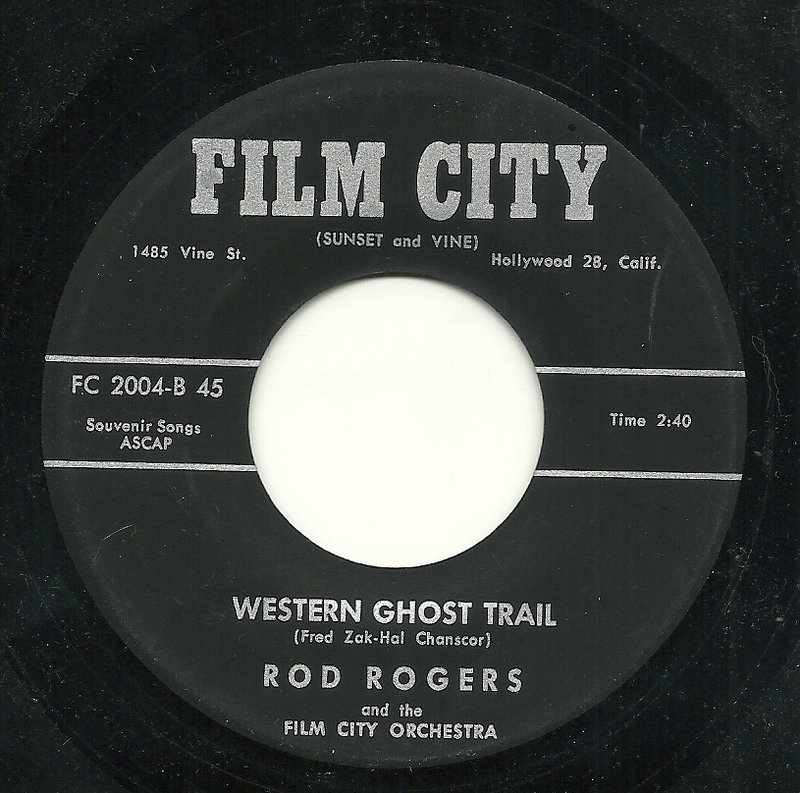 So here's a fairly wonderful record that I digitized nearly a year ago, no doubt with plans of using it on this site. But as far as I can tell, for whatever reason, I never did so (I'm sure someone will let me know if I did already post it, but I can't find such a post). 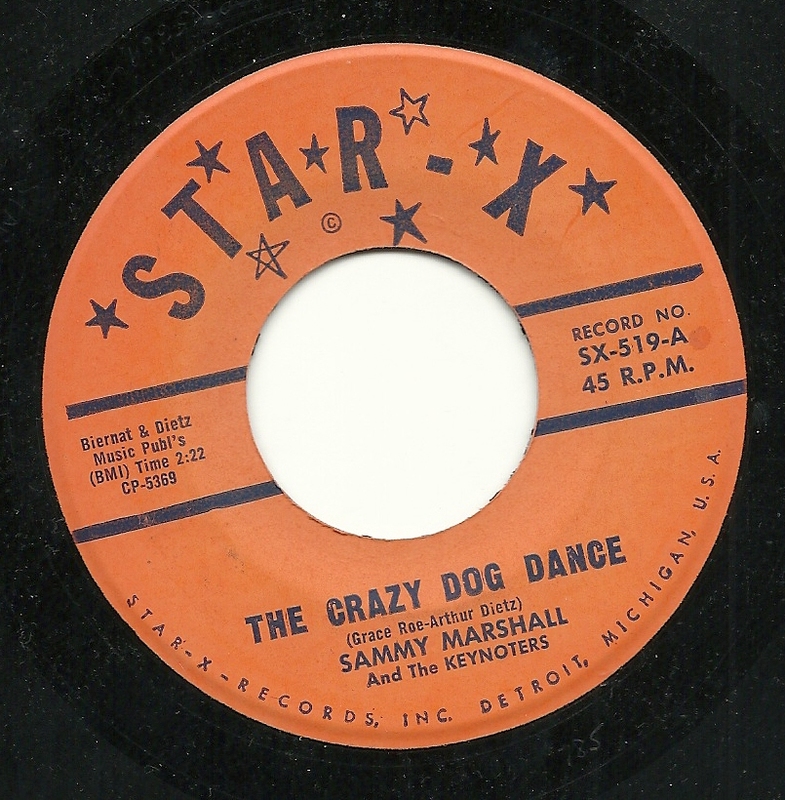 It's a couple of unusually great efforts from the one and only Sammy Marshall, along with the Keynoters, on the rarely seen Star-X label, both tunes focusing on canine subjects. 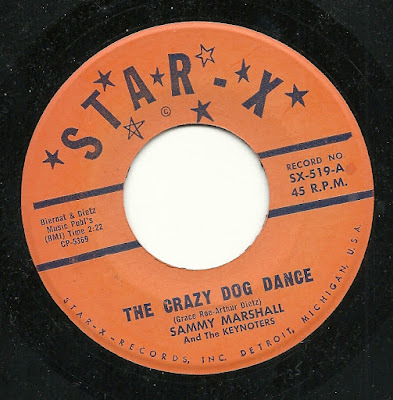 The better of the two, to my ears, is the peppy, fun and endearing song "The Crazy Dog Dance", which comes complete with barks. Woof, woof, my darling! The flip side is no slouch, either, although it's closer to the stereotypical Sammy Marshall twist records of the era. 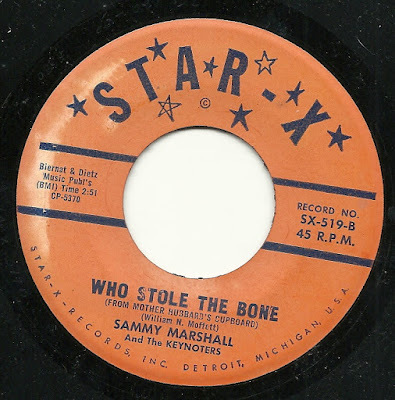 It's got a mouthful of a title, "Who Stole the Bone (From Mother Hubbard's Cupboard)?" But like the first song, it's energetic, fun and creatively silly, AND, it does answer the titular question, too. Enjoy! 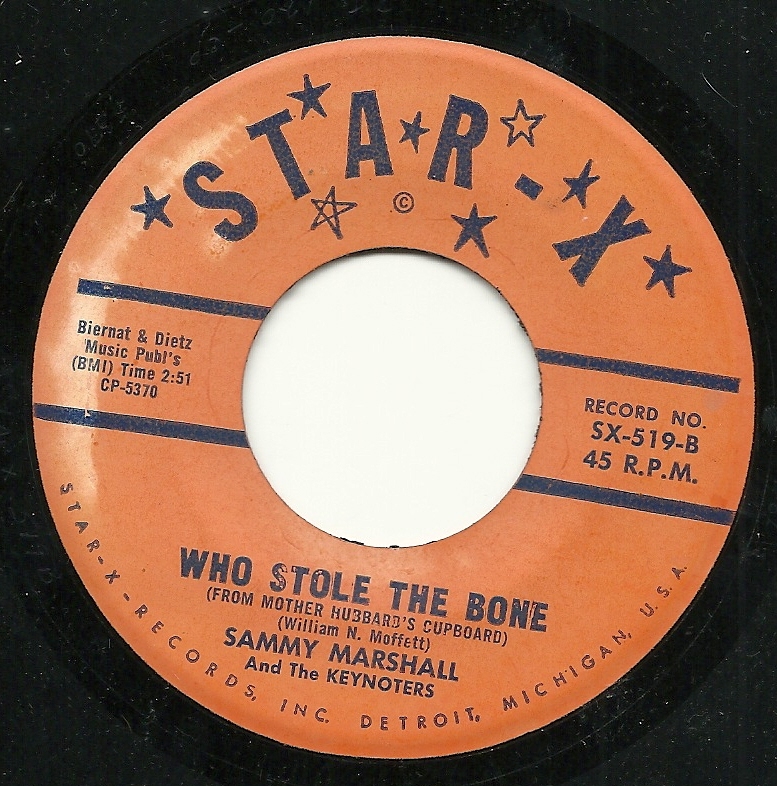 Download: Sammy Marshall and the Keynoters - Who Stole the Bone (From Mother Hubbard's Cupboard)? Today's feature covers that favorite topic of pop songwriters everywhere, Root Beer. I know this subject has been done to death, in such classics as "(I Can't Get No) Sarsaparilla", "My Heart Belongs to Dad's", "Lucy in the Mug with Root Beer", "Oh, Black Cow, Bambalam" "The A & W(inding) Road" and "I Want to Take You Hires". But despite that familiarity, give this one a chance. 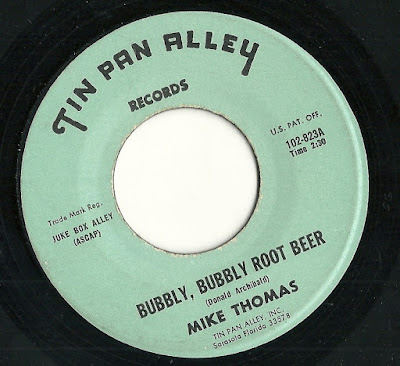 It's called "Bubbly, Bubbly Root Beer", and it's from everyone's favorite Tin Pan Alley warbler, Mike Thomas. 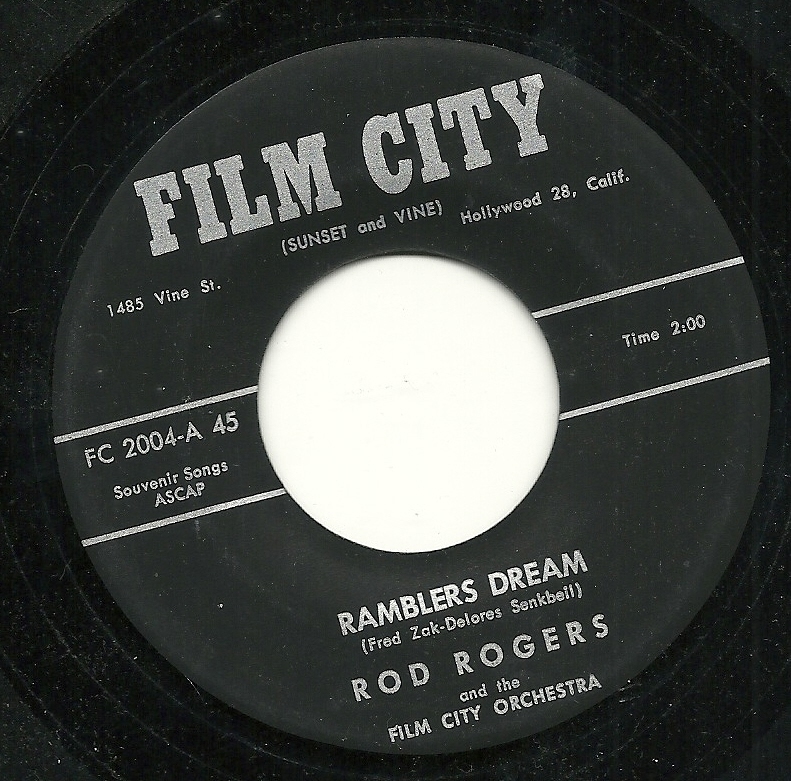 It's got all of the hallmark's of the era's TPA releases - the three piece band, the off-the-cuff sounding performance by everyone involved, and the idiosyncratic lyrics of yet another wishful thinker. Hoist a glass and have a listen! On the flip side, we have a ponderous piece of navel-gazing, titled "Questions of Flight". 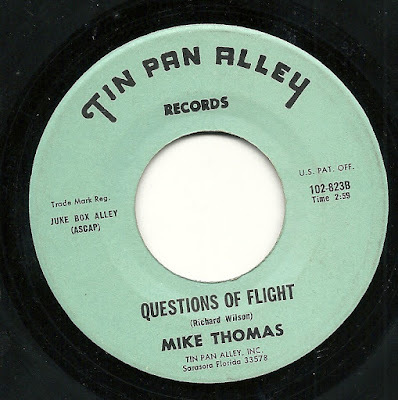 What starts as (and spends much of its time as) a series of open ended questions about the flight of various birds, eventually ends up at its real point, which is that the singer doesn't understand why his beloved chooses to "fly" away from him. If nothing else, this record is worth it for the awful note that Mike Thomas misses at 2:55, during the fade out. 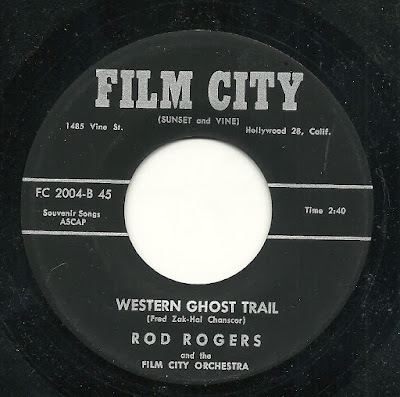 His Horn Went "Beep Beep Beep"
Fred Zak, co-poet of "Ramblers Dream" teamed up with a different partner for the flip side, "Western Ghost Trail". This is a rather tuneless, meandering record with very little to recommend it. Not only that, but somehow, the pressing of this record manages slow down and drop a half step or so, during the last half minute (that's not a problem with my turntable - I played it on two players with the same result).